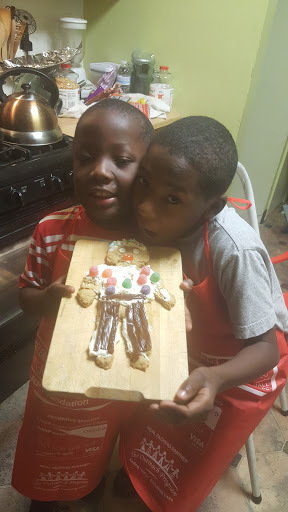 At first I didn’t know what he was talking about, and had to ask him to repeat it several times before I understood that he wanted me to bake a gingerbread man for him. I said would, knowing that he would probably forget the next day and I wouldn’t have to go buy ingredients (bad aunt, bad!). But, NOOO he remembered and got his older brother all excited about it too. Now I had no choice, but to make this thing, I wasn’t even sure how to make one! So, I took this as an opportunity to pull out one of my baking cook books, the same one that was used to make the very easy, multi step, slightly complicated apple cheesecake. 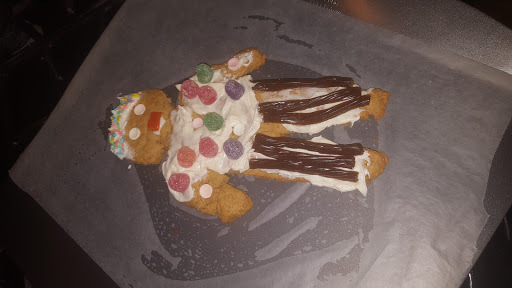 Just like with that one, I’ll list all the ingredients, re-iterate the directions (with my added notes and commentary) and show you how I (and the kids) made it, with pictures! 1. In a heavy bottom sauce pan add the butter, sugar and corn syrup. 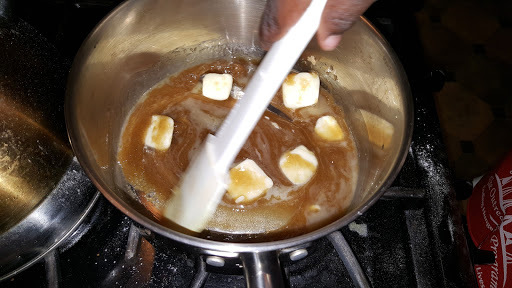 On medium heat, stirring continually, melt the butter and dissolve the sugar. Once melted leave to cool for about 10 min. If you happen to have extra little hands around, have them keep stirring to cool quicker, while you work on other parts of the recipe. 2. 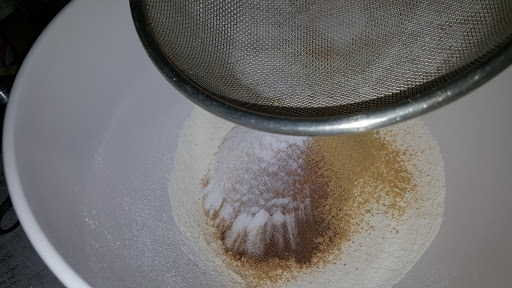 Sift together the flour, baking soda, ground ginger, and allspice in a large bowl. 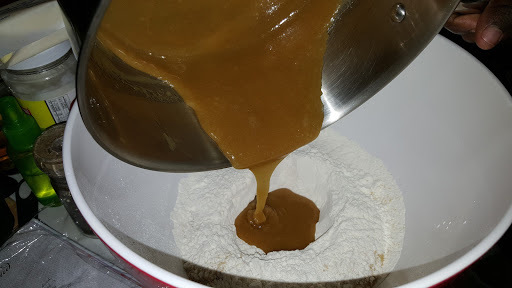 Mix thoroughly and make a well in the center. 3. Into the well slowly add the sugar mixture, making sure to get every little bit, but leave some back for the kids to lick. 4. 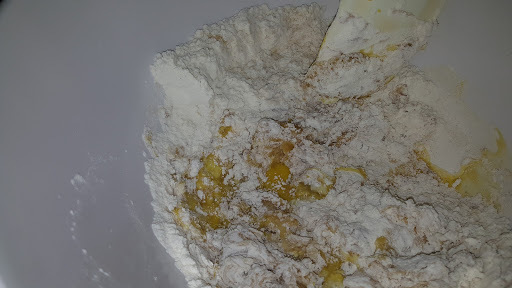 Mix it around until it’s almost incorporated then add the beaten egg. 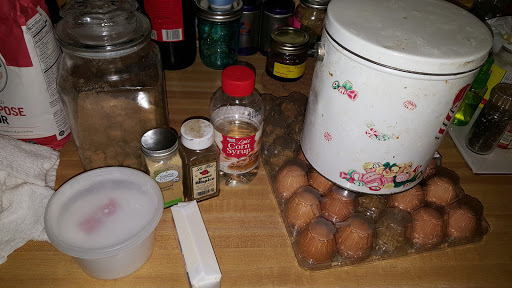 The original recipe says to add the egg and sugar mixture at the same time, but I’m always afraid of curdled eggs from the heat so i did it this way. 5. 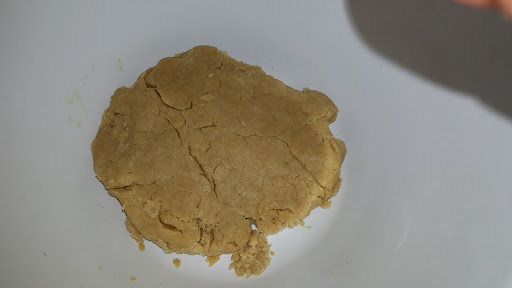 Mix together well until a dough is formed. 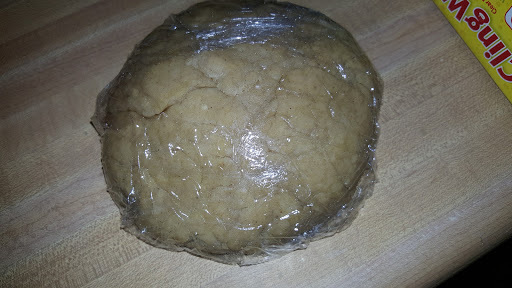 knead until smooth, then wrap in plastic wrap and place in the freezer for 15 min. The original recipe says place in fridge for 30min., but ain’t nobody got time for that, unless you do, then by all means go with 30 min. 6. 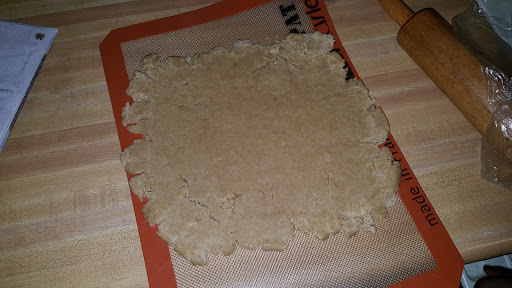 Once your 15min is up, take it out the freezer and roll the dough out on a lightly floured surface (or a Silpat, if you own one) to about 1¼ to 2in. thickness, rotating 90⁰ to prevent uneven rolling. 7. This is where you can go your own way. you can either get a 2¾in. round cookie cutter to stamp out your circles, re-kneading and re-rolling as needed. Or, you can take a butter knife and ‘cut out’ your gingerbread men freehand, like I did. Place on a cookie sheet with wax or parchment paper. Bake for 10min. or until golden brown, my oven took about 15min. 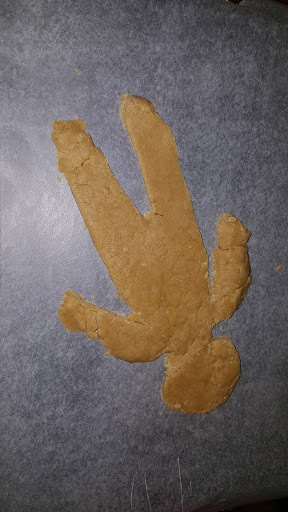 to bake. 8. Obviously, take out of the oven and let cool 2-3 min. This is when the original recipe says to transfer to a wire cooling rack and let cool completely. I kinda didn’t do that, and went ahead with the decoration part of the project. Also, my nephews needed to get home, so we actually couldn’t wait any longer. They chose, smarties, several flavors of Twizzlers, spiced gum drops, icing and sprinkles for decoration. I will be the first to admit that dough and I are NOT friends, but I am happy with this little man right here, and so are my nephews! I would have never attempted this without him asking (begging) me to do it for him. Yes, if I had more time I probably would have let it cool and used royal icing to fill it in properly. 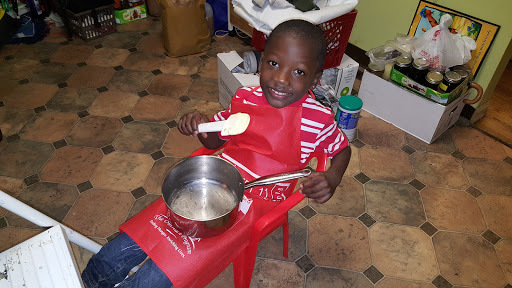 But, the fun thing about cooking with kids is they don’t care about it looking ‘pretty’. 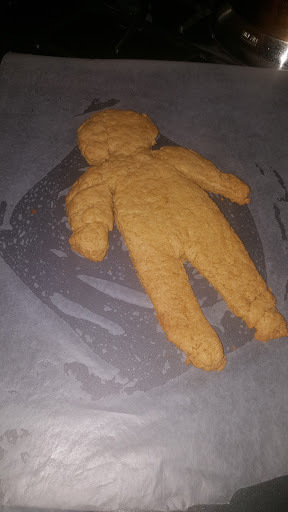 With the exception of kneading the dough, cutting out the men and putting things in and out of the oven, my nephews did all the work for these cookies. That means, that any hands you see in these pictures are theirs, not mine. Stamping day! I just ❤ using my custom stamp from @lasercutz. Pounding out some aggression is always fun.